3/4/14 Meria interviews Paul Armentano, Deputy Director of NORML-National Organization for Reform of Marijuana Laws; His latest book: Marijuana is Safer:So Why Are We Driving People to Drink? ; the rights of the cannabis consumer; medical marijuana; Obama’s interview; Dr. Sanjay Gupta’s turnaround; alcohol is a greater harm to user and society-factually correct; equating pot with heroin in the law; “Happy Hour” – sensationalizing alcohol, demonizing cannabis; double standard; public opinion has shifted; who makes the money on these “laws”; special interest groups don’t want reform; 750,000 arrested each yr for pot; is marijuana safe? policy needs to change; history of prohibition;prohibition based on race and class; public health issue or criminal? brainwashing and propaganda; the Marijuana Tax Act; difference between legalization and decriminalization; hypocritical politicians; and more. Your subscription gives you total access to site/shows 24/7. Subscribe now. 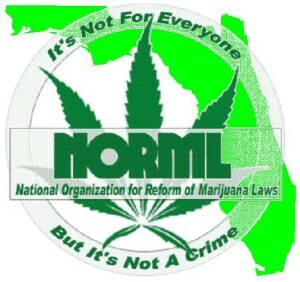 2 Responses to "Meria with Paul Armentano – NORML"
I really appreciated receiving the clear explanation of the difference between decriminalization of cannabis and its legalization/regulation. yes, and it’s a BIG difference.